Latest Style or Lasting Strategy? It's not just the latest trend. The Four-Stage Development Model is a highly functional and strategic framework for helping churches—regardless of size or style—do what Jesus wants them to do. Fashion is fickle, isn’t it—the way clothing styles come and go in almost predictable cycles? Ties widen, narrow and widen again. Hemlines go up and down. Stay out of fashion long enough, and you’ll end up back in. Unfortunately, the church world has fashion cycles, too. Pastors dress their congregations in the latest styles that dictate whether cell groups are in or out; worship sets are long or short; and preaching is topical or expository. Within a few years, the latest/greatest becomes passé, and church leaders look for the newest trend in church fashion. Strategy ought to trump style. No matter how nice your Italian leather shoes may look, they aren’t much good in the snowy slush. That’s why I never bothered being style conscious with church. I wasn’t as interested in what church should look like as in what it should do. Putting it another way, shoes were made for walking not gawking. It is possible to be both functional and fashionable, but if we confuse style with strategy, we will simply look good doing nothing. I bring this up because you will soon be hearing a lot in Foursquare circles about a “new” model for church. Our leaders, and many of us practitioners, hope the Four-Stage Development Model will be in vogue for a long time to come. 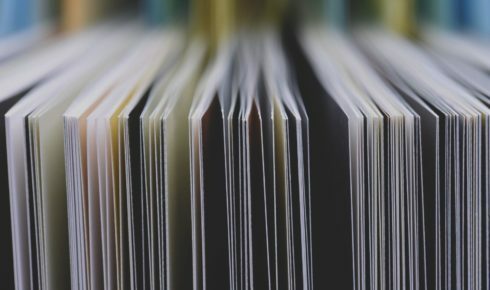 But the Four-Stage paradigm is not a fashion statement—it is a highly functional and strategic framework for helping churches (regardless of size or style) do what Jesus wants them to do. Though I no longer pastor a church, I travel around the world observing churches. Pastors everywhere want to convince me that their unique cultural surroundings set their churches apart from all others, but I never see any evidence to support their claims. Actually, what I see is that, regardless of country, culture, geography or history, churches go through similar and predictable phases on their way to becoming healthy and reproductive. Perhaps leading a church is a bit like baking a cake: There are many recipes, but they all call for basics such as milk, eggs and butter. Leaving out something as seemingly inconsequential as salt makes a huge difference. The Four-Stage Development Model identifies the common landmarks that local churches pass on their way to maturity. It provides practical definitions for the various elements that enable a church to function well throughout its development. Generally speaking, we expect different things in the lives of our teenagers than in the lives of our grade-school kids. A healthy 9 year old doesn’t look like a healthy 17 year old, so it is neither fair nor helpful to compare the two. But every parent wants to hear from a doctor that his or her 2 year old is healthy according to the developmental norms of other children the same age. Parents whose youngster is just about to become a teenager appreciate the advice of parents who have had teenagers already. I think pastors would really like to know what developments to expect in their churches as they are coming into their “teenage” years. Spiritual progress—whether in a church or in a person—is an ongoing process, not really a series of static levels or grades. That is why the Four-Stage Development Model is usually presented using the graphic of a wheel. Just as a wheel turns again and again, so healthy development in a church is a continuous process. The wheel reminds us that the Four-Stage Development Model isn’t a once-for-all, tic-off-the-list set of accomplishments to earn like Scout merit badges. It is not a set of requirements that must be satisfied. Rather, it is a description of a living process all pastors and their churches are going through. Every pastor I know is frustrated with numbers as the measure of health. Counting the members of a church rarely tells anyone anything about how well that congregation is doing. The Four-Stage model isn’t size- or style-specific. A small church can be a Stage 4 church just as handily as a mega church can be. That’s because each stage is defined by what is going on in church, not by the number of people, programs or resources it has. The emphasis is on a church’s focus—and how it devotes its resources. Each stage in this model has a primary focus, and you will hear much more about those in the future. A fully developed (Stage 4) congregation gives equal attention to all four focus points; a Stage 1 church is concentrating on the first. By providing a simple-to-follow set of strategic objectives in each of the four phases, this blueprint that we call the Four-Stage Development Model enables leaders to build from one stage to another. Unfortunately, many churches stop short. Pastors lead from week to week, but don’t always give attention to building from stage to stage. How does a church plant develop into a church-planting congregation? Will a daughter church ever become a mothering church? What can a church that is very good at discipling learn from a church that is very good at evangelizing—and vice versa? Could there be reasons one “lucky” church has so many mobilized leaders, while at another almost no one steps up? The Four-Stage Development Model provides a framework for meaningful answers and helpful practices for church leaders. It is not a measuring device to grade churches or to determine the winners of a contest. We’re not competing among ourselves, trying to beat some other church and reach Stage 3 before they do. We hold no graduation ceremony when churches are able to add the Stage 3 focus to those of Stages 1 and 2. The goal is not to complete the stages of development as fast as possible to win a prize; rather, our goal is to develop healthy, reproducing local churches that remain effectively focused in each phase. Compared to strategy, style is very limiting. You have to wear the right things, because if you dress wrong, you’re out of fashion. It’s the same way in the church world: People think you have to adopt the right methods and use the right tools. As I said, though, strategy trumps style. If you have the right strategy, you can adapt any tool or method to accomplish your aim. That reminds me of one of the oddest things I was ever told in ministry. Before I recount what was said to me, let me provide a bit of context. Though I have traveled to Europe four times a year for the past 25 years, I have never lived there. By God’s grace, I was responsible for starting Foursquare in Holland and in Switzerland. But I was told by a very highly placed denominational official, “You are not a real missionary because you don’t live in another country.” Hmmm. Apparently, I wasn’t wearing the fashionable missionary outfit. But using the Four-Stage Development Model as my strategy, I was very focused with each of the short-term missions trips, and each of the conversations I had with the emerging set of leaders in those nations. I made the most of my time. The same was true in how I led my church—and planted 37 congregations in the 22 years I pastored. The Four-Stage ministry paradigm enabled me to “run in such a way, as not without aim” and “box in such a way, as not beating the air” (1 Cor. 9:26, NASB). It can do the same for you—no matter how you dress your church! By: Daniel A. 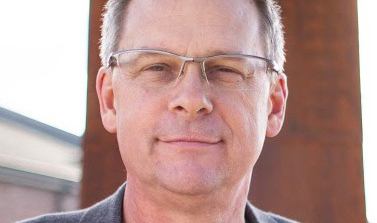 Brown, Ph.D., founding pastor of The Coastlands (Aptos Foursquare Church) in Aptos, Calif., and Commended to The Word (CTW), a ministry through which he develops resources to mentor believers in spiritual leadership. EXPERIENCE IT >> Learn more about the Four-Stage Development Model at Foursquare Connection 2011. WATCH IT >> Learn more about the Four-Stage Model by watching a video featuring President Glenn Burris Jr., Pastor Dennis Easter, Pastor Daniel Brown and more. Daniel A. 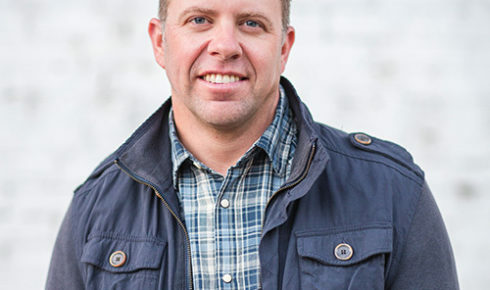 Brown, Ph.D.	is founding pastor of The Coastlands (Aptos Foursquare Church) in Aptos, Calif. Devotion deficiency: Do you lean on others too much?